Frontrow is a full-screen portfolio template that allows images to be showcased at the maximum size. 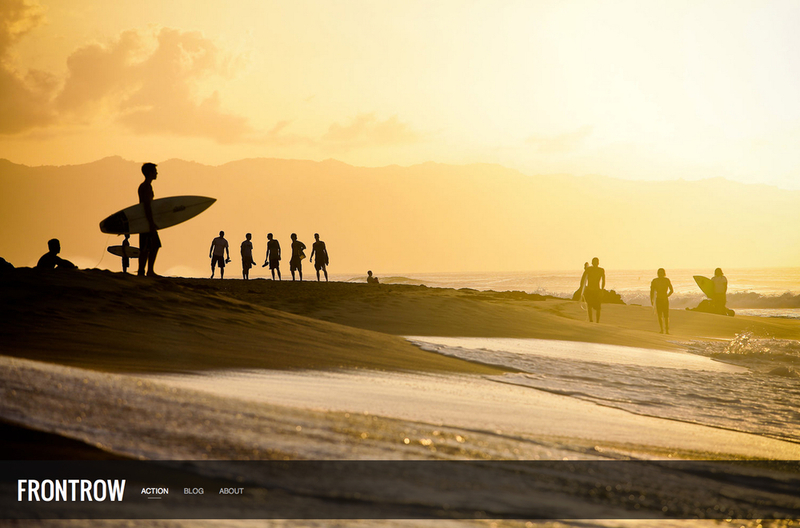 The primary feature in Frontrow is the full screen gallery. Images in galleries can be full or fit the screen, and this can be adjusted in the Style Editor. Gallery images can advance on click or can play automatically. There are many ways to stylize the header and links in Frontrow. 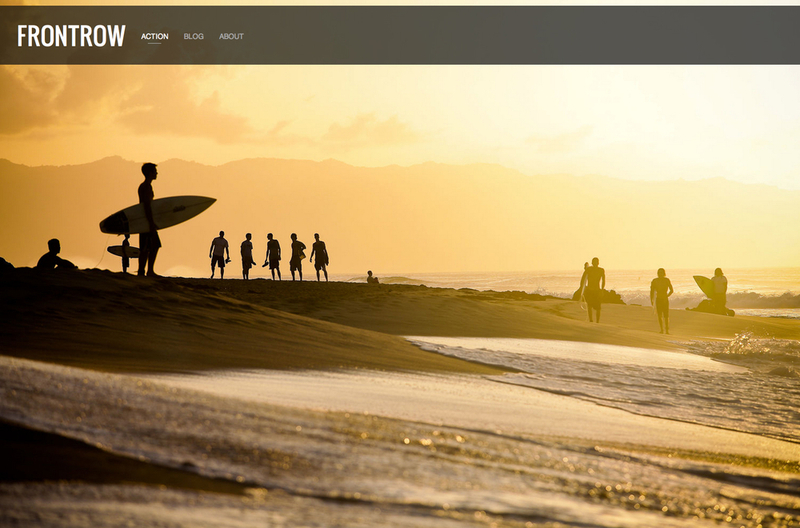 The header spans across the images on gallery pages and can be positioned on the top or bottom of the page. Its width can be constrained to the width of the content or the width of the entire site. The header in Frontrow can be easily customized to align to the left, right, or center. The header navigation can be styled as well. The site title and navigation links can be displayed adjacent to each other, split on opposite ends of the page, or stacked with the site title on top of the links. When the navigation is centered, the links will always be stacked beneath the site title.